Last week, we were bigging up Firefox as it celebrated its fifth birthday. This week, it's another birthday - and it's for something even bigger, better and more important. Yep, we're talking about Windows, version 1.0 of which saw its official release on 20 November 1985. Before those of you who've grown up with graphical user interfaces start your "M$ Windoze" chat, let's travel back in time. Back in the 1980s, the majority of work that we'd do on PC today was being done on typewriters, calculators and biros. We were going through several bottles of Tipp-Ex per week, and not just because we were sniffing the stuff. There were computers in the 1980s, of course, but using them was hardly a great big barrel of laughs. Even tasks as simple as word processing involved dizzying collections of control codes - What You See Is What You Get was a distant dream - and doing anything vaguely technical required special skills. I remember a particularly expensive and tedious training course to become qualified in basic networking, the sort of thing you can do with a couple of clicks today. But what made Windows special wasn't the interface, even though its original name - Interface Manager - suggests otherwise. It was the platform. Before Windows, if you wrote programs you had to write for specific hardware: specific graphics cards, or specific printers. What Microsoft did, rather cleverly, was to create an environment where you wrote for Windows instead. If you wrote for Windows, you could be sure your program would work on any machine running Windows. Microsoft did another extremely important thing. It didn't just provide the platform; it supported the developers who used it. Microsoft has always been brilliant at working with developers, and while it's easy to mock Steve Ballmer's screams of "Developers! Developers! Developers!" those screams are in Windows' very DNA. Yes, Microsoft has tried to dominate the odd sector - Office and internet stuff spring to mind - but mostly it's let developers get on with it, enabling them to create an enormous selection of applications for pretty much anything you can imagine. Windows applications are getting on with things in doctors' surgeries and in airports, in share dealing rooms and motor racing pit lanes, in recording studios and research institutes, in call centres and coffee shops. They're on notebooks and netbooks, internet tablets and PCs of every conceivable shape, size and specification. Running the world? There's an app for that - and the odds are it's a Windows one. Of course, it hasn't all been plain sailing. The very driver model that made Windows work - the idea that hardware firms would provide drivers that told Windows how to handle their kit - was also responsible for lots of Blue Screens of Death (particularly, in our experience, with graphics cards). 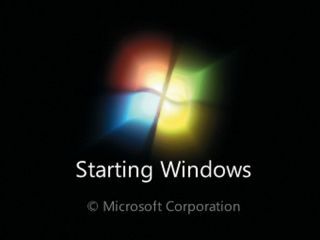 Windows' origins as a single-user operating system meant it was ill prepared for the onslaught of malware when PCs started going online. It's become bloated over the years, and there was a definite attitude in the last decade of "sod it, nobody's going to touch us now, let's take a tea break for a few years" typified in the long gap between Internet Explorer 6 and 7 and the way Vista launched with some truly deal-breaking bugs on everyday tasks such as file copying. None of these things take the shine off Windows' core achievement, though. Microsoft's vision of a PC on every desk and Windows on every PC largely came true, making all kinds of jobs less tedious, creating entirely new industries and helping millions of people express themselves. That's an amazingly positive thing - unless, of course, you had a lot of shares in typewriters and Tipp-Ex.